Adults on Mission groups provide a dynamic and relational way for both men and women to grow in Christ and answer His call to make disciples. Through missions projects, local outreach, studying the Bible and praying for missions, each meeting offers opportunities and resources to be involved in missions. Adults on Mission is also adaptable to several kinds of churches and gatherings, including church plants, small groups, language churches or even a gathering of friends at a local coffee shop — there is something relevant for everyone in Adults on Mission. Let us help you get started! Download a free AOM starter pack. Each starter pack includes sample curriculum materials so you can get started right away! It’s never been easier to plan a new year of missions involvement for your small church, language church or Adults on Mission group. With 12 monthly units, each containing a Bible study, mission study, prayer page, special emphasis and meeting plan, Missions Plan Book has you covered. Plus, the quarterly articles and information will supply you with everything you need to know about WMU and its new emphasis, Unshakable Pursuit. Written in Basic English, it’s a perfect annual guide for leaders and members whose first language is not English. 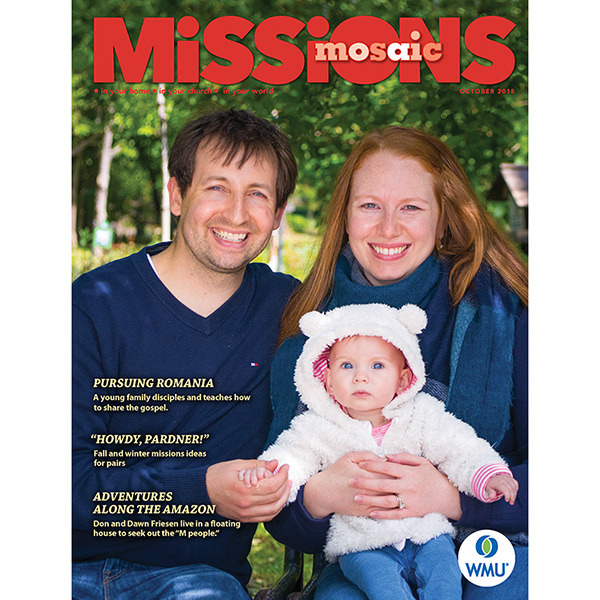 By encouraging missions education for adults, WMU meets and anticipates the ever-changing needs of your missions efforts. With a comprehensive focus, this guide is essential for missions leaders who are serious about leading Adults on Mission. 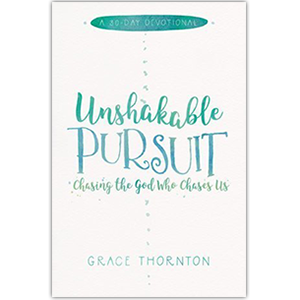 Published for all women on mission, whether they are members of Women on Mission -- or not! Each issue quips you with a Bible study, prayer starter, ministry ideas, and evangelism tools. Get inspired with true stories of women who are transforming their communities for Christ. For your children, you'll find family missions tips to involve them in ministry. And every issue includes Prayer Patterns, daily devotions followed by a listing of missionaries on their birthdays each month. Readers can intercede for each missionary at least once a year. There’s an eternal momentum coursing through our veins. And the truth is . . . sometimes we just don’t recognize it. There’s a God pursuing us in love, tapping our shoulders, and telling us life will only find its rhythm when we chase Him back with everything we’ve got. There’s a world walking the paths God has orchestrated, just waiting for someone to be fully engaged in His story—and share it with them. We’ve been invited on the chase, and if we say yes, life will never be the same. Are you in? Downloadable reference for connecting and building relationships with internationals to lead to interfaith witnessing. Learn ways to connect and taboos. For resources and updates related to Adults on Mission, sign up for our emails.